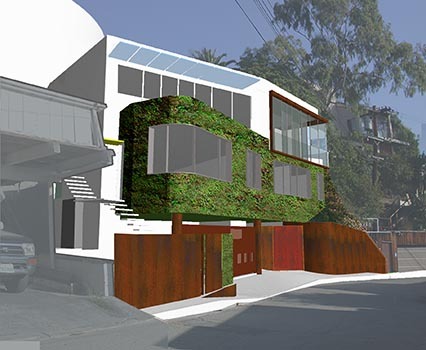 This new residence repairs a breach caused by a landslide on an extremely steep site. 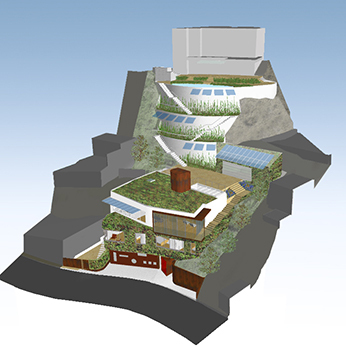 Enclosed by earth on three sides, merely a planted façade and rooftop emerge from the terrain and minimize the home's visual impact. 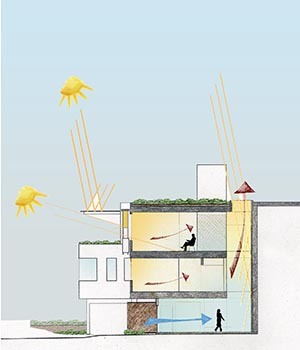 Geothermal dynamics obviate the need for HVAC systems while daylight and passive ventilation are provided throughout the house by a series of operable skylights over the three story stair atrium. 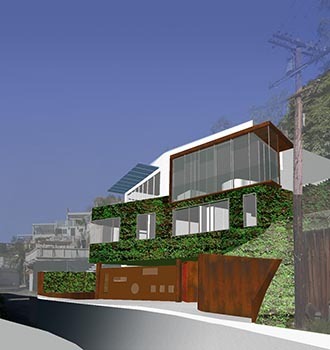 Recessed and shaded windows on the upper floor, as well as an upper deck allow for expansive views from the coast to downtown LA.